When you say the words “counseling” or “psychotherapy” to Westerners, they probably envision some clinical room with a desk and chairs, perhaps a nice watercolor hanging on the wall. But counseling can happen more or less anywhere. We see this every day at CVT. In Uganda, group sessions occur in a hut. It has a beautiful fresh-thatched roof and everybody sits on the ground. The hut doubles as the local church. It is a very familiar setting for the people. So we adjust to them. For them, it is not unusual to talk with people sitting in a circle on the ground; it is customary. We perform intakes and follow-ups sitting in the grass outside in the camp. In modern times now, settings of therapy have changed so much. Often, we work online. You see clients; you see supervisors via Skype. The typical counseling setting of four walls and two chairs is the standard no longer. We can say that we see more unusual settings than this standard setting. The aspect that must be always respected is a space that guarantees confidentiality and safety. Trauma occurs in all types of locales, so a counselor must be flexible. You could be doing group therapy and trauma disclosure and see animals crossing outside the hut. A curious chicken could wander inside. I prefer it over what is considered the standard setting of practice. I think, in many places, we do what is the best solution for those living there. In Jordan, for example, people come to us because we are located inside an urban environment. 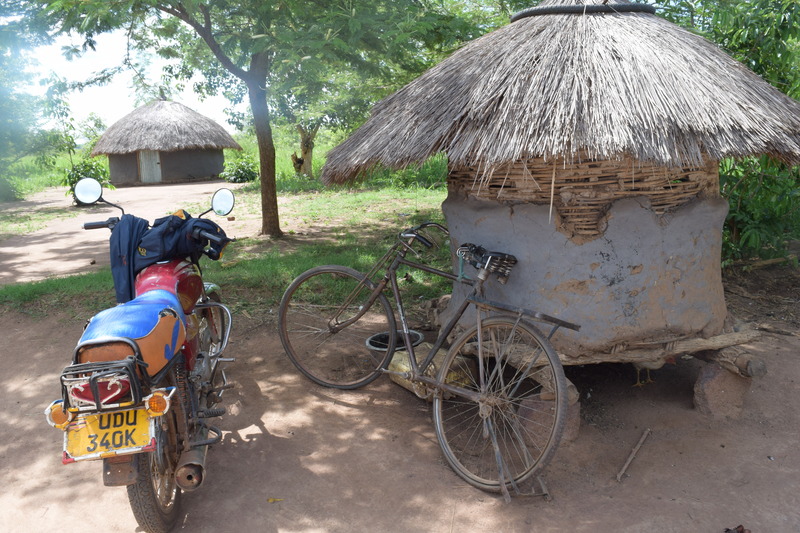 In Uganda, communities are so spread out that we often station in Gulu and travel to other areas. We have to move and reach them in their villages. When I started to work with CVT in 2014, I never thought it would possible to do any counseling in the far-flung places I now find myself. Some of these villages are very remote. They are so remote that the people in Gulu don't know where the village is. During the rainy season, the foliage grows so thick you can't see anything. Very remote. Very isolated places. Our work with interpreters is a key element. It’s important to build up a strong relationship and a therapeutic alliance with the interpreter. It’s also important to be very aware of yourself. How do I use my body language in a way that the translation might become more clear? How can I change my tone of voice and then become part of the translation? Other questions arise from such scenarios: How can we translate words in a culture that doesn't have the same expression of emotions? In some countries, there are few words (for an example in Arabic, “stress” and “tension” are the same word) or no words for a certain emotion. Sometimes it is better using metaphors because images can be clearer. For instance, working with a woman who had survived a severe traumatic experience, I told her that she looked like a pressure cooker rather than explaining “anger” as the feeling that she was experiencing. She understood the image, and we could work on how to “stabilize” the pressure. Are any cultures skeptical of counseling? This is a question I am asked sometimes. There can be a certain amount of skepticism at the beginning of a survivor’s healing journey no matter his or her background. In reality, the skepticism melts away because something happens during the counseling cycle. The community knows that you come to CVT when you are suffering and you talk. That is the only exchange. Talking therapy. How do we know it works? In our international locations, survivors come and talk for 10 sessions in groups. They don’t have to keep returning for each session, but they do. We need to take in consideration that in many countries such as Uganda, time is precious. People do not invest in activities if are not useful. Women,in particular. Most of their days are dedicated to work from early in the morning, so coming to our session without receiving any material support must be useful. Otherwise, they would not come. This is the final proof that the CVT healing process works. People continue to participate in sharing and listening. They continue to talk. They know they will not receive anything else except talking therapy. So something happens – a change occurs, small at first and then more profound. And that, I think, is the value of our work. There is nothing as beautiful as this change. CVT Uganda is supported by the Trust Fund for Victims. With the unique roles of implementing both Court-ordered reparations and general rehabilitation assistance to victims of crimes under the ICC’s jurisdiction, the Trust Fund for victims offers key advantages for promoting lasting peace, reconciliation and well-being in war-torn societies.